If you travel just over four hours west of London, England, you’ll find one of the world’s true, traditional seaside links golf courses — the St. Enodoc Golf Club near Padstow in Cornwall. 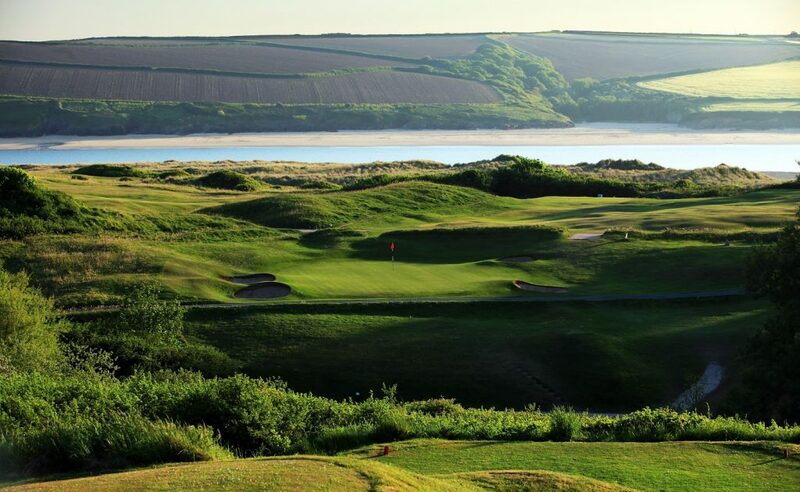 This golf course has all the characteristics of a true, traditional seaside links golf course – firm, consistent greens; undulating fairways; tight, uneven fairway lies; nasty bunkers; a few blind shots; and some dynamic, memorable, and jaw-dropping seaside views of the Camel Estuary and the north Atlantic Ocean. In addition to being a great destination in itself, St. Enodoc is one of a group of six championship links courses at five golf clubs located in the three counties in the southwest of England: Cornwall, Devon, and Somerset. 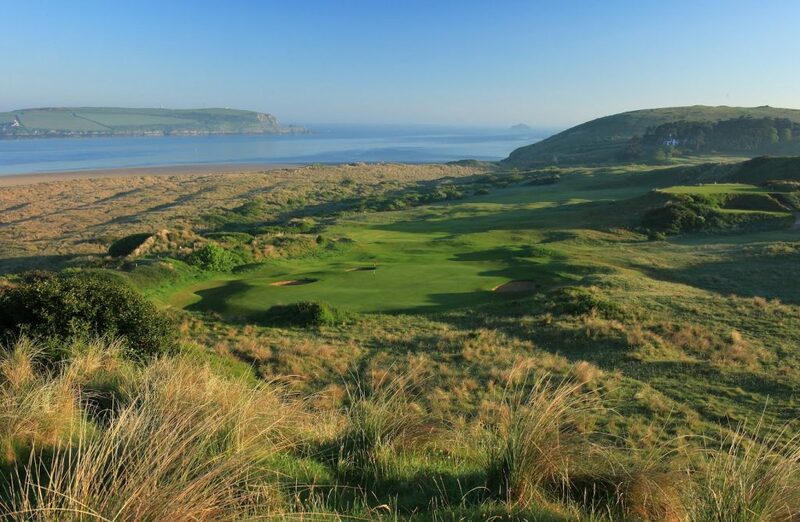 The six premier championship links are Trevose and St. Enodoc in Cornwall; Royal North Devon, Saunton East and Saunton West in Devon; and Burnham & Berrow in Somerset. These six courses, clustered along the northern coast of the southwest of England, overlook the spectacular North Atlantic Ocean. At St. Enodoc, there’s rarely an issue with getting a tee time since there are two courses: the Church course, opened in 1907, which was designed by James Braid and the shorter Holywell course, which provides a typical links terrain with less daunting shots. The Church course gets its name from the 11th Century St. Enodoc Church which sits in the middle of the course alongside the 11th fairway. When playing the Church course, holes 10-14 are played in the general vicinity of this historic Norman structure. 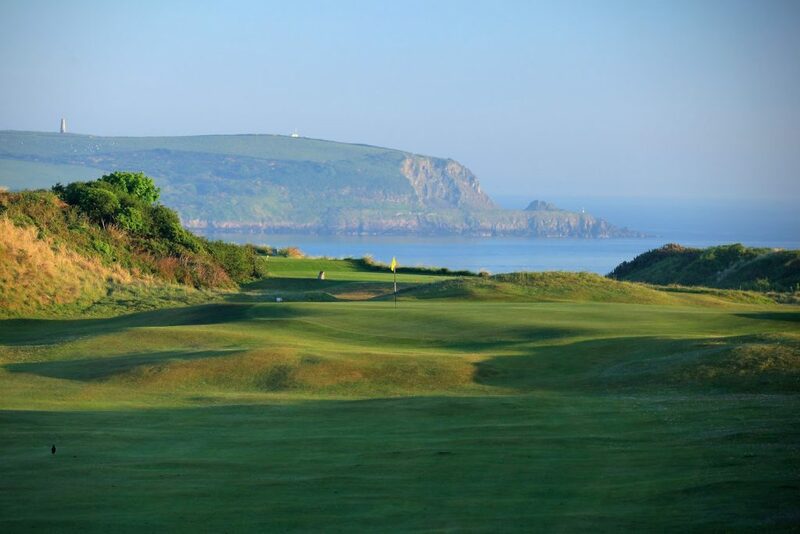 One of the biggest complements that can be bestowed on St. Enodoc – which features a new tagline: Where Golf Meets the Atlantic — is that many professional golfers are now coming to the Church course to get ready for the Open Championship each July. And, one of those players, over the years, was five-time Open champion Tom Watson. Watson, who likes the hilly nature of St. Enodoc, is not alone in his praise for Braid’s golfing masterpiece. “He (Braid) put a great golf course in a limited space,” notes Scott Gibson, course manager at St. Enodoc. One of Braid’s design features which remains in play is the Himalaya bunker on the 6th hole. It is big, steep, and filled with lots of sand. Avoid that hazard at all costs! 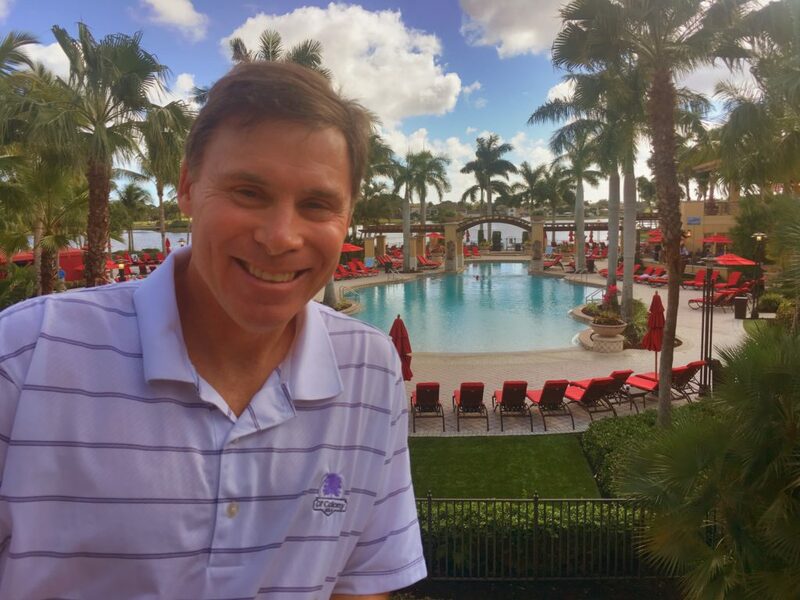 In 2017, efforts were implemented to make a great course even better. For instance, the tee complexes on the 1st, 5th, and 10th holes were re-leveled and expanded in size, in order to protect them during the busy summer season. In addition, the invasive and overgrown area that ran the length of the 10th hole has been removed to enhance visibility when playing the hole. Also, the stream that sites next to the 10th green has been widened, which adds charm to the hole, which is St. Enodoc’s Signature Hole. The existence of a temperate micro-climate in north Cornwall allows the green keepers at St. Enodoc to keep this links in immaculate shape for year-round play. The golf media agree with the appeal of St. Enodoc’s Church Course as Golf Digest ranks the course as the 99th best in the world; Golf Journal lists St. Enodoc as the 51st best course in Europe; and National Club Golfer declares that St. Enodoc’s Church Course is the 17th best golf course in Great Britain & Ireland. 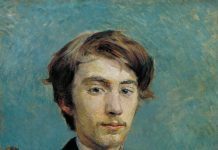 Those rankings would put a smile on the face of the late, great Braid, who won five Open titles himself in the early 1900s. The second course at St. Enodoc – the Holywell — is definitely worth playing. It’s for golfers who want a quicker, less challenging and less expensive links golf experience. The 4,082 yard Holywell course has a series of par 3s and par 4s. There are no par 5s. It’s no pushover, but it does feature undulating fairways and fast-paced, target greens. Over the last couple of years, St Enodoc has invested a great deal of time and effort in upgrading the Holywell so visitors can expect excellent course conditions that meet the same high standards as those on the main Church course. After golf, visitors to the nearby community of Rock can enjoy the stunning beaches of Polzeath and Daymer Bay, as well as the charming fishing village of Port Isaac, now well-known as the location for the popular television series Doc Martin. Just across the Camel Estuary from St Enodoc is the town of Padstow, which is the home of many excellent restaurants such as Rick Stein’s collection of seafood outlets, as well as many independent shops which sell local arts and crafts. If you are looking to spend the night in the area, there are many local options ‘to hang your hat,’ such as the St. Enodoc Hotel, which is adjacent to the golf club; the St. Moritz Hotel & Spa in nearby Wadebridge, which offers a spa and swimming pool; and The Dormy House B & B in Rock which is within walking distance of the golf club, local shops, restaurants and area beaches.